Despite some journalist's best attempts, Liverpool boss Jurgen Klopp was not interested in talking for too long about Paul Pogba. Jurgen Klopp refused to be lured into discussing Paul Pogba ahead of Liverpool's huge clash with Manchester United, but he did admit the midfielder is a "world-class player". Pogba has not started United's last two Premier League fixtures - coming off the bench in the 2-2 draw with Arsenal before being an unused substitute in the 4-1 win over Fulham - ahead of the trip to Anfield on Sunday. The France international's situation at Old Trafford was one of the subjects discussed at Klopp's pre-match press conference on Friday, albeit only briefly. The Reds boss was not interested in giving his opinion over whether Jose Mourinho's side are better with or without Pogba in it, instead turning the tables on the reporter by asking if Liverpool's players were the centre of so much attention during his opposite number's media duties earlier in the day. "I don't know how much you ask Jose Mourinho about players from us? Does somebody ask him about Gini Wijnaldum? I think 100 per cent not!" Klopp replied. "What can I say? Paul Pogba is a world-class player. That's all I can say, and he's a Man United player so I think we should prepare for him as well." Klopp was also questioned over the possibility of managing Pogba in the future, though he made sure not to take the bait and provide a headline-grabbing answer for the gathered journalists. The German responded to the cheeky line of questioning with a smile, saying: "You know better than me what happens if I give an answer to that question! So no answer!" "If you can make a story with that, that would be cool: 'Klopp denies an answer!'" 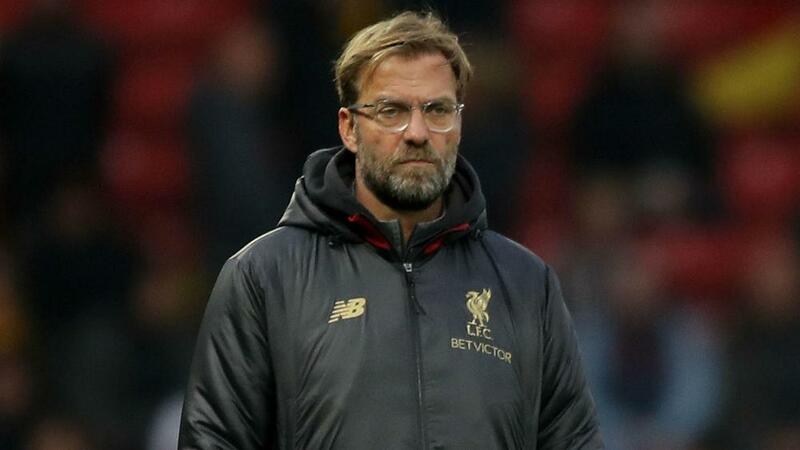 Klopp was more forthcoming when asked about United's position in the table, insisting they still have a squad with "unbelievable quality" despite languishing 16 points behind Premier League leaders Liverpool. "I was never interested in the points of Manchester United, and I am not today," he said. "I don't read too much of what you write, but of course I am aware of the criticism and stuff. But when we analyse them and switch off the sound, there is a lot of quality. "There is speed, technique, physical strength, pretty much everything. They still have [David] De Gea in goal, unbelievable. They have strikers they can switch between [Marcus] Rashford, [Romelu] Lukaku, [Jesse] Lingard, [Anthony] Martial, unbelievable quality. "We don't judge the points they have, we judge the quality they have, and we prepare for that."